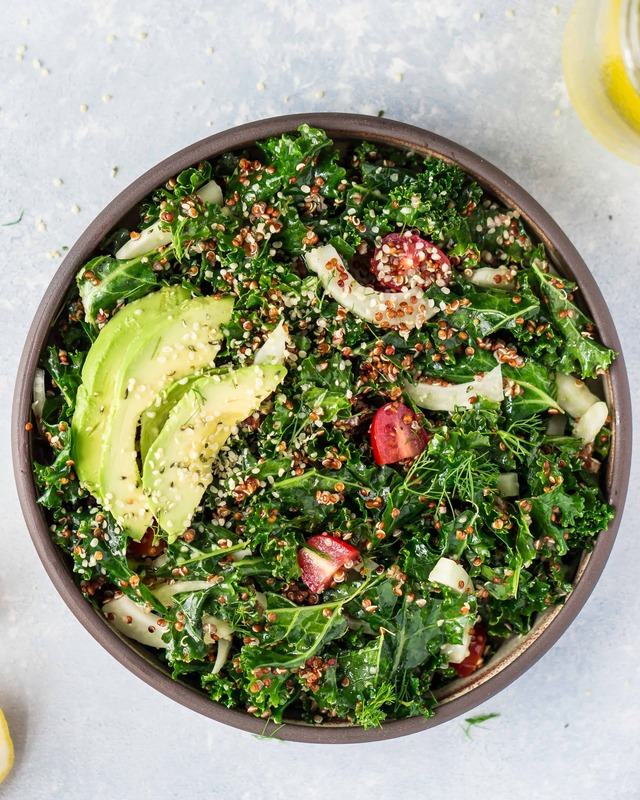 Kale & Red Quinoa Salad with Homemade Lemon Vinaigrette | Eat. Love. Namaste. Welcoming the New Year with eating more healthy foods and salads each week! I couldn’t be more excited to share 2018’s first recipe with you all! This salad is one of my favorites; it’s healthy, fresh, and has a punch of flavor! Let’s get to it, shall we? Do you make New Year’s resolutions or are you the type of person who makes monthly intentions? I’m a three-months intention’s gal because it allows myself to accomplish my short-term intentions and make a ritual and incorporate them into my everyday practices. Three-months intentions help me go back and re-evaluate what I need most in the short-term, I go back and decide if I need to keep working on that particular practice or decide if I’ve accomplished my goal and graduate to something more beneficial. This is a much more holistic practice for myself, and it helps me keep track of my overall changing needs instead of adopting one or two year-long resolutions that no longer serve a purpose. The three-months intention’s challenges myself to make a difference and turns them into a ritual without the reminder. As we all know, time flies and those three-months will be here before you know it. If you want to feel and see a difference in your life, then join me on the #3monthsintentionschallenge this year. When the end of the first three-months arrives, you can be proud of what you will accomplish. 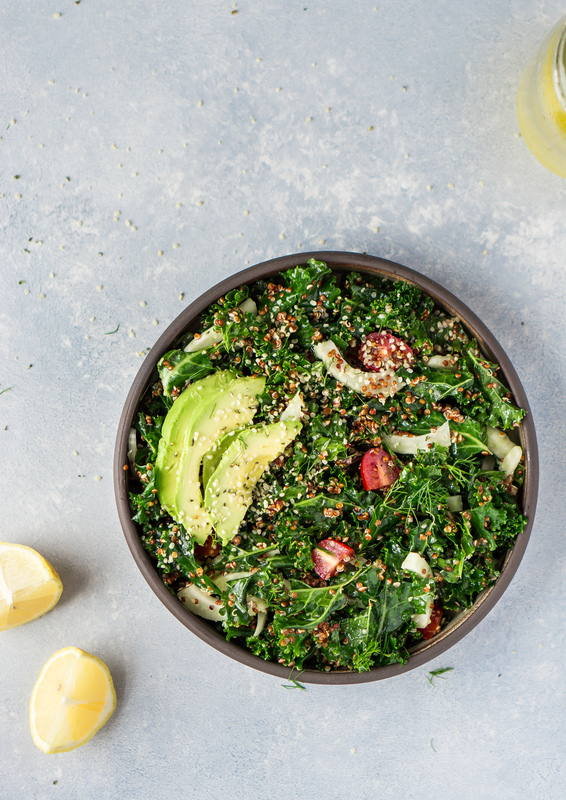 A fresh Kale & Red Quinoa Salad recipe with a Homemade Lemon Vinaigrette! This salad is super delicious and has a punch of flavor! 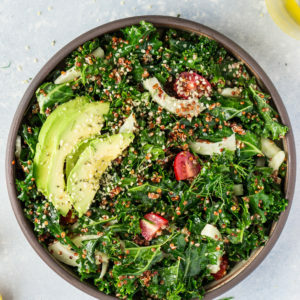 While quinoa is cooking, make the vinaigrette by whisking the following ingredients: lemon juice, olive oil, apple cider vinegar, minced shallot, and salt and pepper. Set aside. Clean kale, remove hard stems and rip the leaves into pieces and place into a bowl. 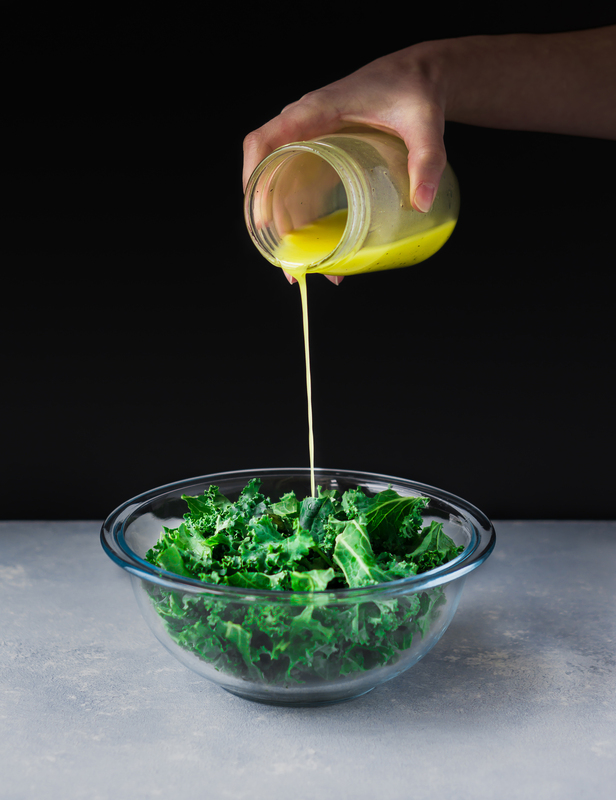 Add 2 tablespoons of the vinaigrette and massage the kale to wilt the leaves. 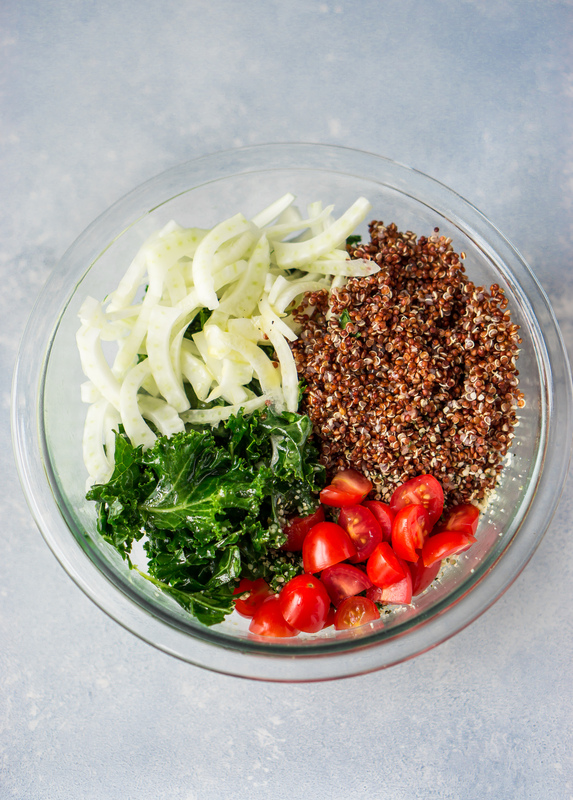 Add the remaining ingredients: chopped fennel, cherry tomatoes, cooled red quinoa to the bowl and toss together. Top with avocado, hemp hearts, and chopped dill and serve immediately.